This clever little adaptor will enable you to use ER32 collets in your existing 5C fixtures. 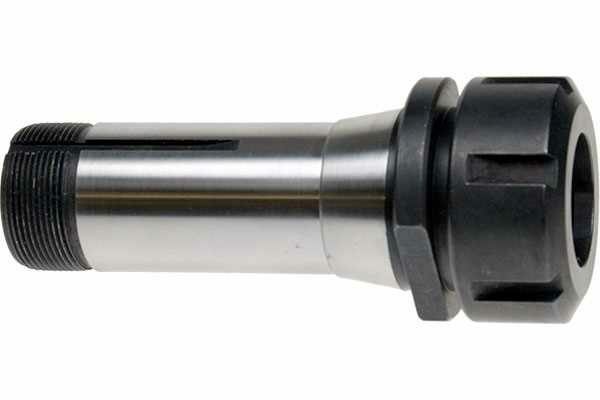 The adaptor has 5C standard 1.05" x 24tpi internal, and 1.230" x 20tpi external drawbar threads and a 1" internal bore up to the back of the ER32 taper. 5C Collet Fixture Type C.
5C Indexing Heads not already fitted with an ER32 nut and adaptor. Also compatible with our 5C Collet Adjustable Backstop. Not suitable for front locking fixtures like our 5C Collet Fixture Type B. Not required for Stevenson's 5C Indexing Head with ER32 Nut and Adaptor.